Denim trends come thick and fast these days. Sure you've got your mom jeans, your high-waisted, your skinnies plus maybe a couple of black ones in your wardrobe, but what about the more controversial pairs of jeans? 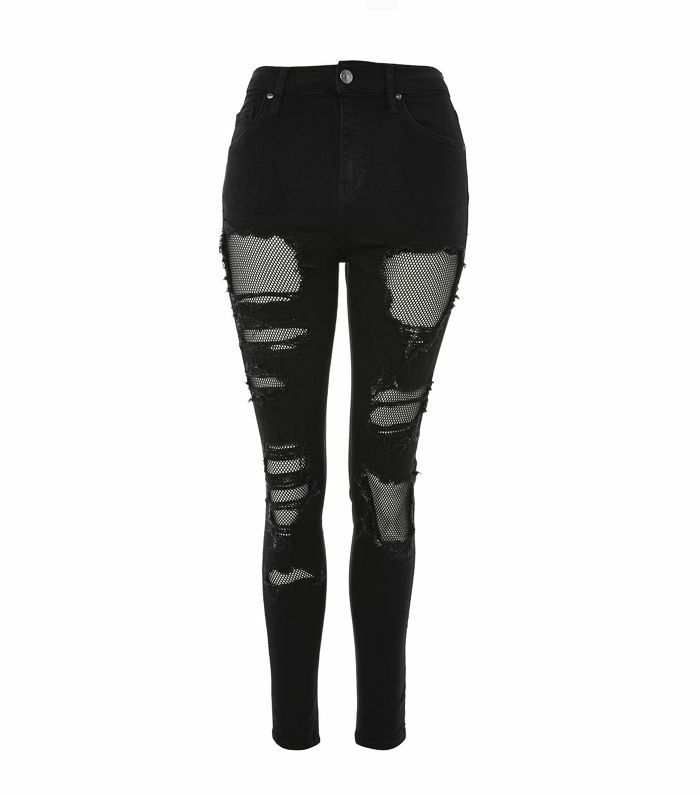 Recently, we noticed that Topshop has the most incredible range of more polarising jeans. They are not for everyone, but they make a change from your classic blue, white and black pairs. From the jeans that come with built-in fishnets to others that look like a disco ball (no bad thing in our books), we've picked out some of the more controversial pairs that you might just want to invest in. Keep scrolling for our guide to Topshop's most polarising denim trends. This is just making our lives much easier. Instead of layering fishnets underneath, we've got it all done for us. These are quite the snazzy pair, but we're into them. Definitely for the festive season. These are so wearable, no? Very Isabel Marant, so we're into these. The wide leg is such a great look right now. Another win for Topshop. Bella Hadid would be into these. The most divisive in this list, these are what we'd suggest you wear if you were going for the Christina Aguilera look circa Dirty. Want more? The biggest denim trends from 2017.